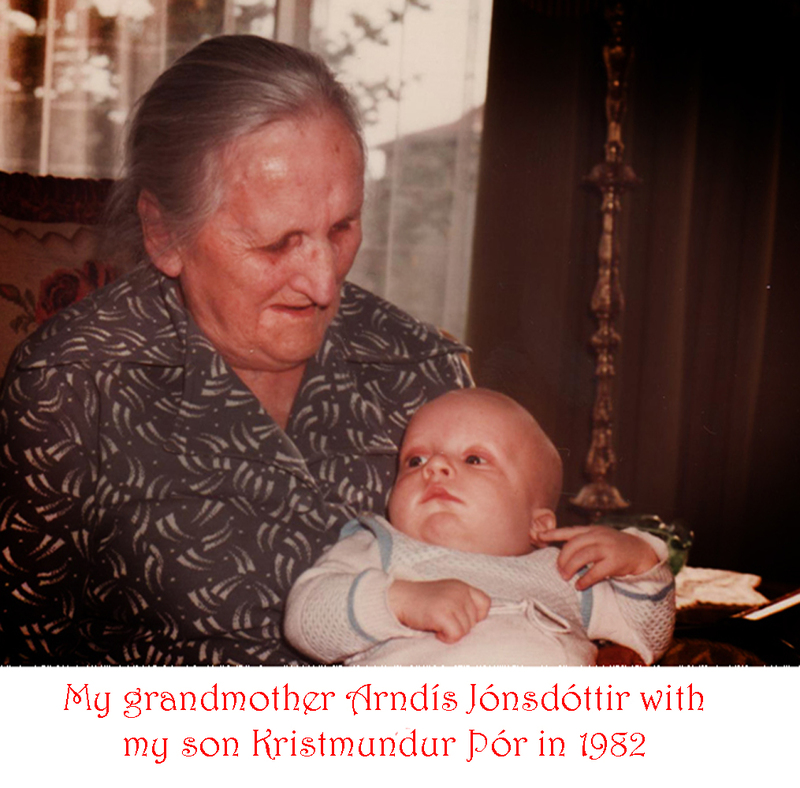 This post is written in honor of Oli’s grandparents, Arndís Jónsdóttir and Sigurður Steindórsson and their daughters Ása and Sigurlaug. 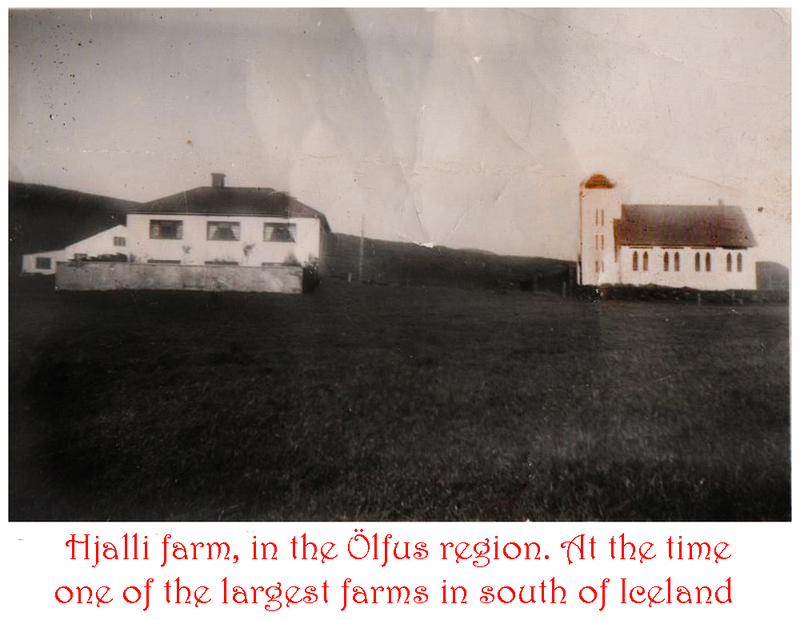 My grandparents owned a farm called Hjalli (Hillside) about 25 minutes east of Reykjavik in a region called Ölfus. In addition to everyday farming, in 1928 my grandfather built the church that served the entire region. He then served as the church organist until he and my grandmother sold and then moved from the farm in 1955. I can trace my own interest in music to both my mother’s side of the family as well as my paternal grandfather. 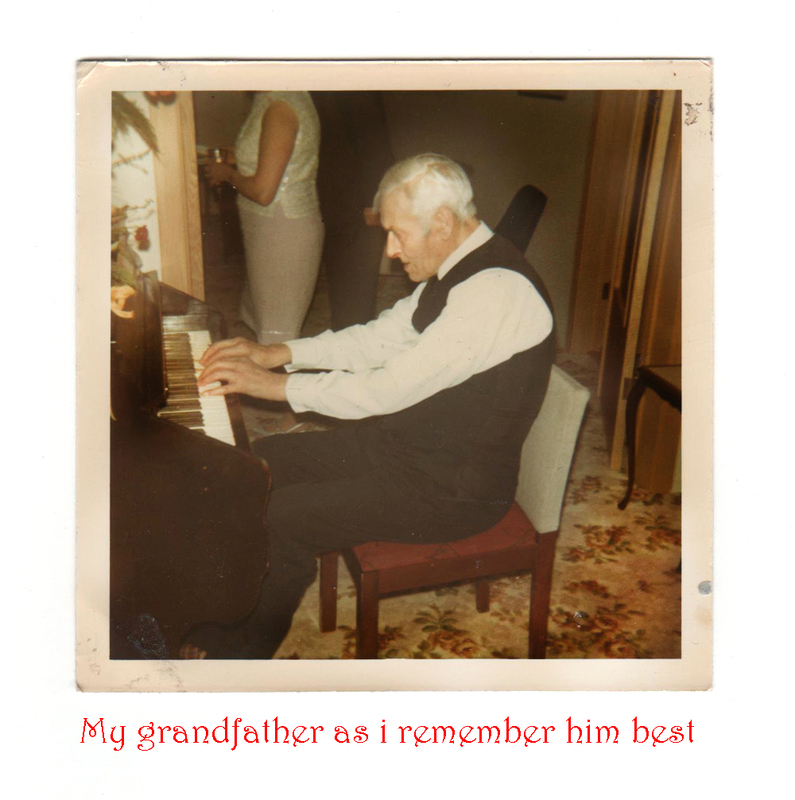 I remember sitting on his knee as he played the organ, our cheeks always touching. I was fascinated and at the same time quite irritated because his stubbly, bewhiskered face was abrasive and scratchy on my little boy skin. However, I loved his music so much that I paid little attention to the discomfort. As I mentioned they moved from the farm in 1955 and that was the year I was born so I was never there as a child. But I have been to the farm many time as an adult because when I am in Iceland there is nothing more that my aunt Ása loves than when I take her to the farm that holds so many childhood memories for her. She talks of Sundays after church when everyone was invited to the farm for coffee and cakes. Now, this was the only church that existed for miles around, so the churchgoers who came for coffee and cakes were quite a crowd. 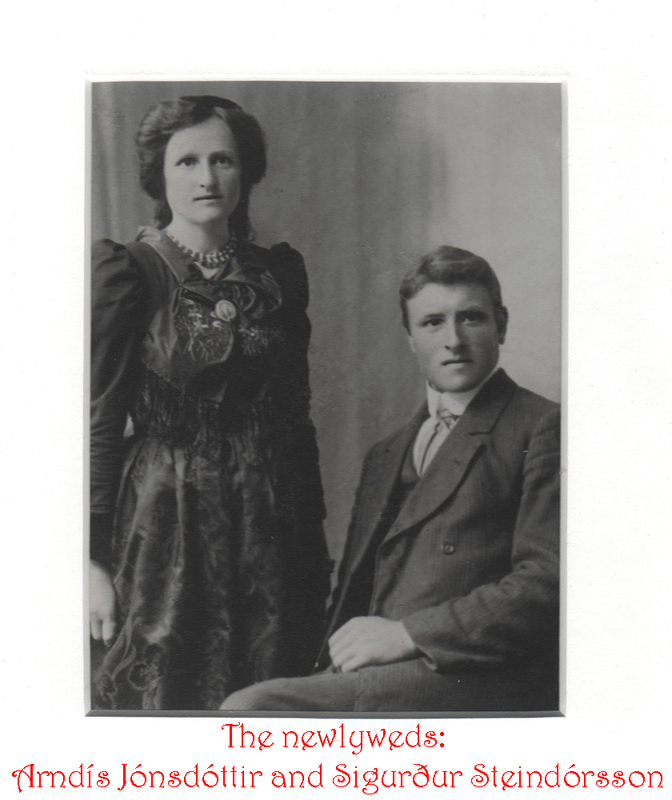 Ása and Sigurlaug (Lauga for short) were always pressed into service to help their mother prepare and serve the after church spread. When the family moved to Reykjavik, my grandparents continued their tradition of generous hospitality. 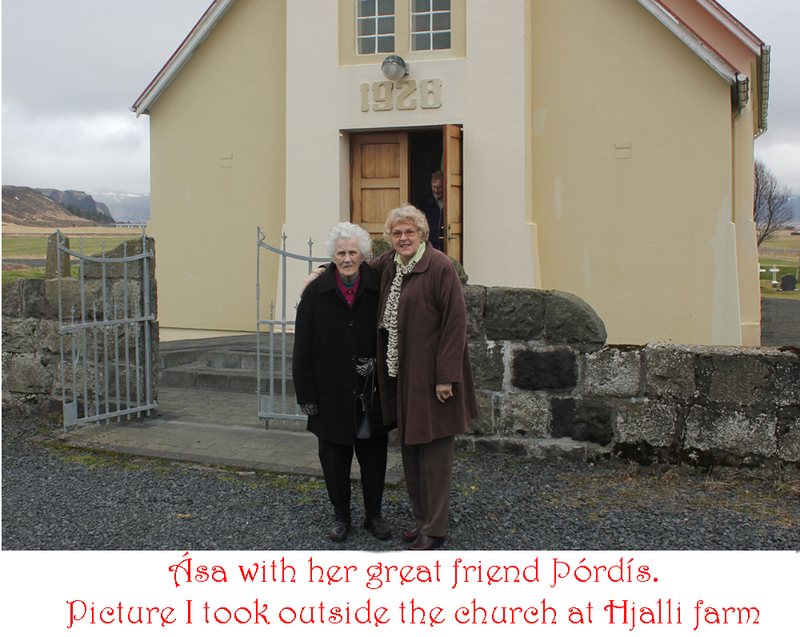 There were visitors all of the time – people from the country, as well as friends and family who lived in Reykjavik. It made no difference when or what time of day you dropped in. They were always ready to serve lunch or dinner and then a huge cake and tart buffet. Aunt Ása and I have a very special relationship, because I was born at home and in her bed, also because I have followed in her footsteps and became a chef. She was a great chef and ran the biggest kitchen in Reykjavik for over 30 years. At that time the general economy was tough and for a student chef it was really tough. So on occasion Ása asked me to come into her kitchen to help her out. She paid me quite handsomely for my butchering skills. (And she always insisted that I have the tenderloins as a bonus.) 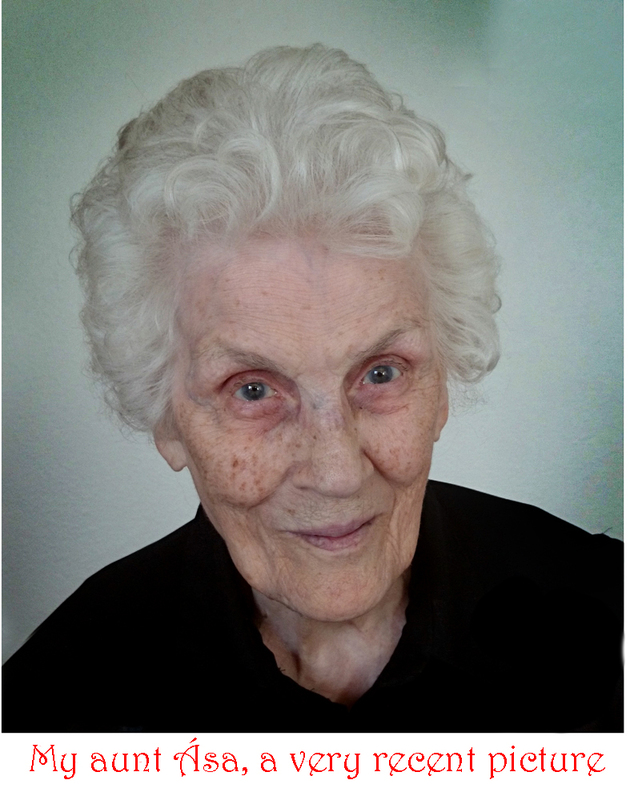 Ása is now 93 and lives in a retirement home in Reykjavik. Ása has fond memories of the farm kitchen and the family kitchen in Reykjavik. My own memories are the aromas of freshly baked flatbread that would swirl around me when I came through their door. I can still see my grandmother, Ása or Lauga making stacks and stacks of flatbread. I also remember when my father took me, my brother and sister to Mallorca, Spain. Grandma sent us off with a HUGE package of flatbreads, smoked salmon, smoked lamb and sliced cheese. I am quite sure it was enough to last us for the entire three week vacation. It was so much I almost didn’t want to see flatbreads again. I repeat, “almost”. Flatbreads are very common and quite popular in Iceland. 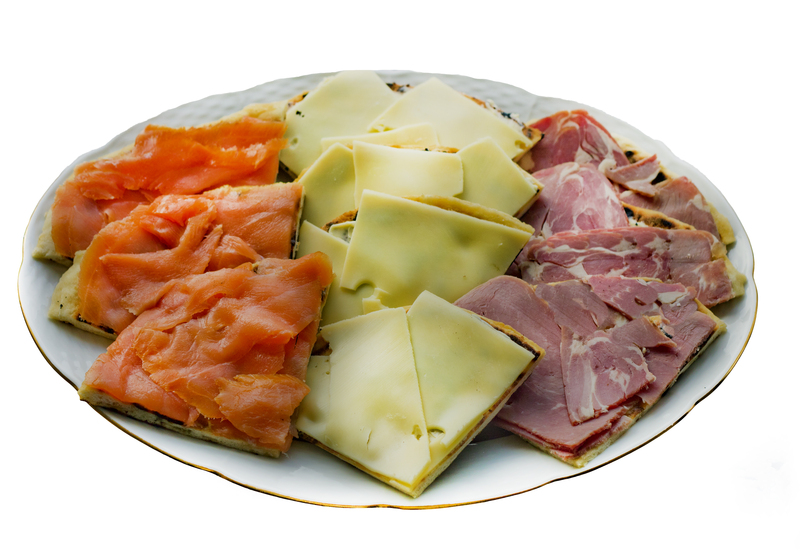 A celebration is not a celebration in Iceland if flatbreads are not on the table. We are obsessed with flatbreads. There’s not a supermarket or small store that doesn’t sell them. If they don’t stock flatbreads, they might as well close the store. 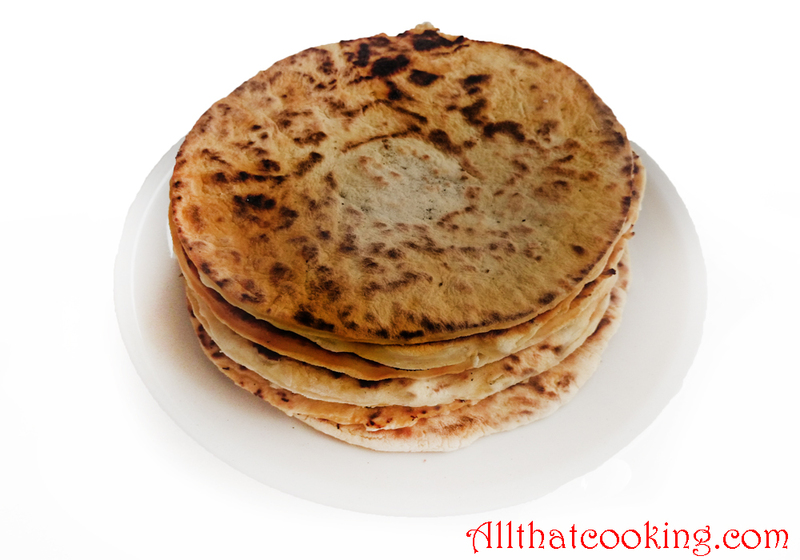 The store bought flatbreads are very thin and often made with a mix of rye and white flour. I’ve gone on and on about flatbreads and aunt Ása. Here’s one of the reasons why this recipe means so much to me. 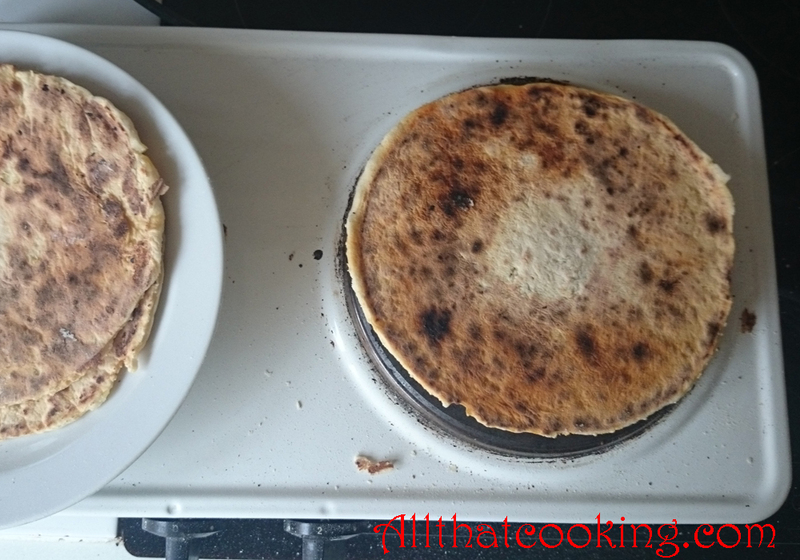 Icelanders don’t make their own flatbreads! They buy them. I have never seen anyone make Icelandic flatbreads at home except my grandmother and Ása in their kitchen on Háteigsvegur Street in Reykjavik. So today it is my great pleasure to share with you my grandmother’s flatbread recipe which Ása gave to me several years ago. As far as I know, I am the only one in the family who has it. 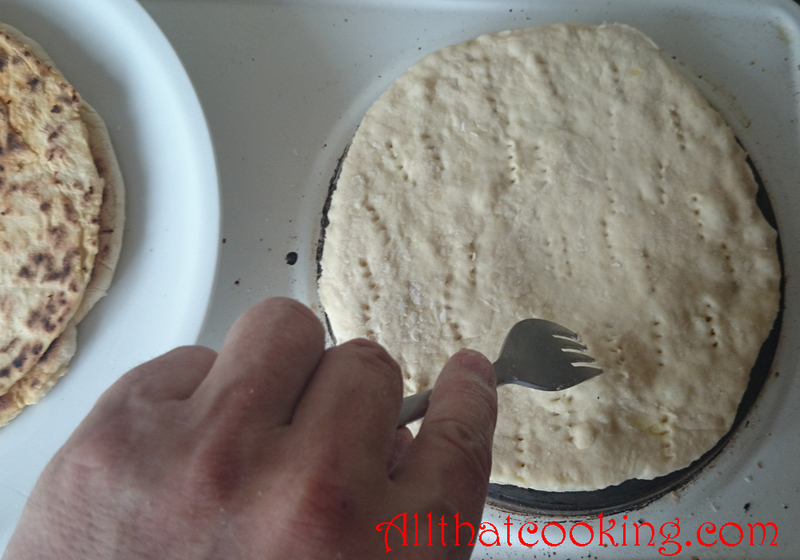 I am making these flatbreads not only to share here on the blog, but also to bring to dear aunt Ása. If you would like to use some rye flour in this recipe, replace 1/4 of the all purpose flour with rye flour. The flatbreads will become a bit darker and have a bit different taste but also very good. To achieve the right texture it is very important that you do not over-knead the dough or the bread will be too chewy. Knead until the ingredients are just combined. 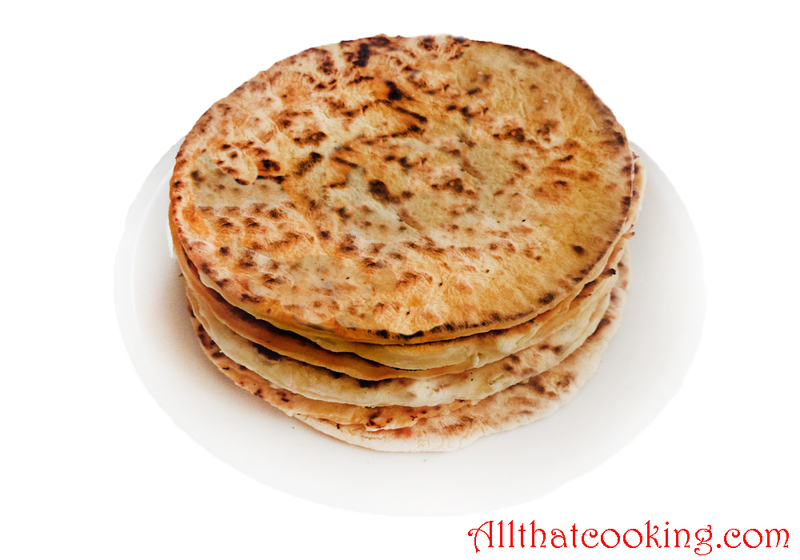 You will be rewarded with a flat bread that is soft yet compact. 1. 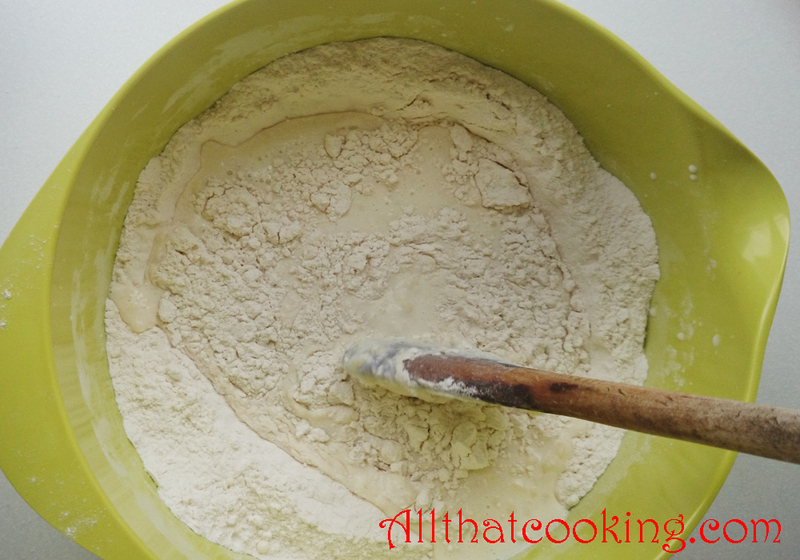 Mix together flour, baking powder, salt and sugar in a large bowl. 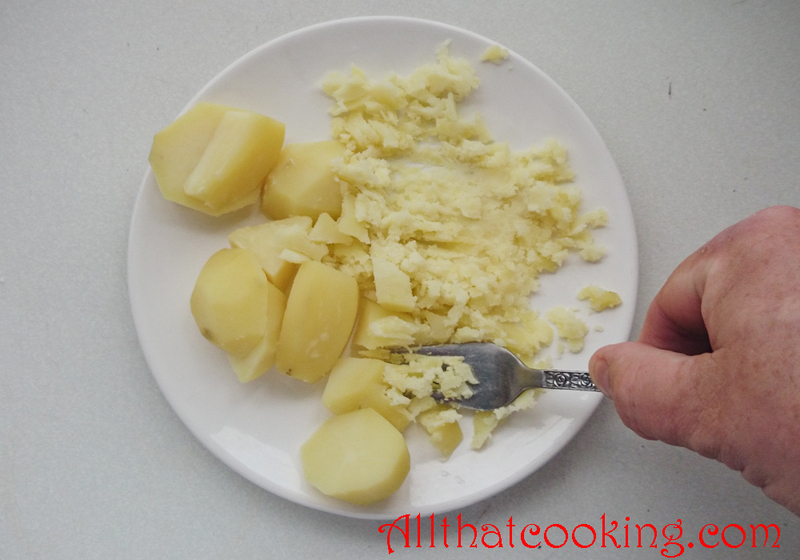 Use a fork to mash the potatoes. 2. 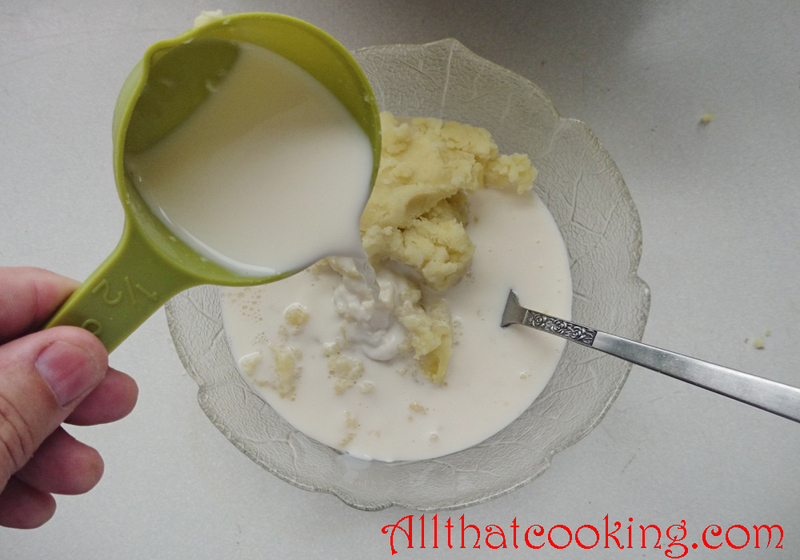 In a medium bowl whisk together mashed potatoes, yogurt and milk. 3. 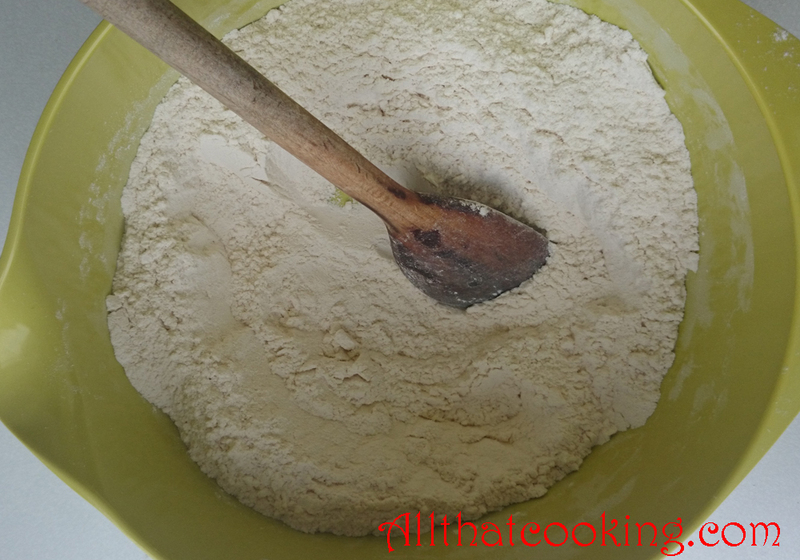 Make a well in the center of the flour mixture and pour in the potato mixture. 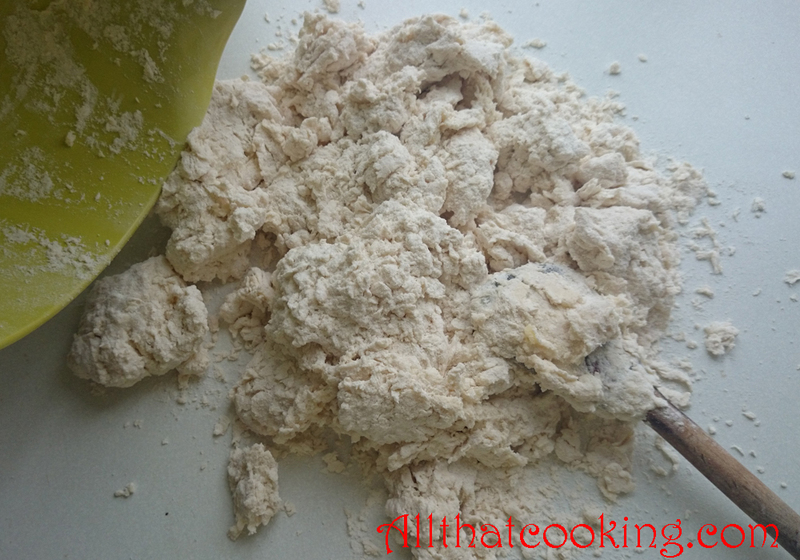 Use a spatula to gradually work the flour into the potato mix. 4. Mix until you have everything combined, no more. 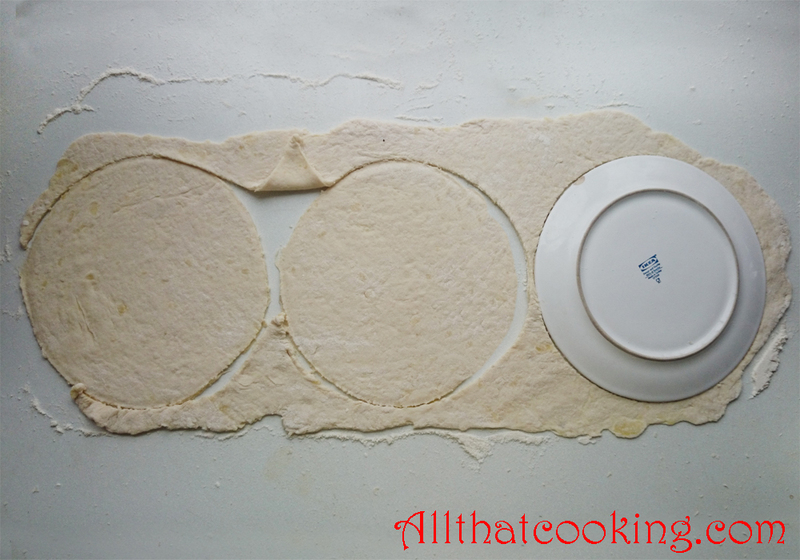 Dump the dough onto a clean work surface. 5. 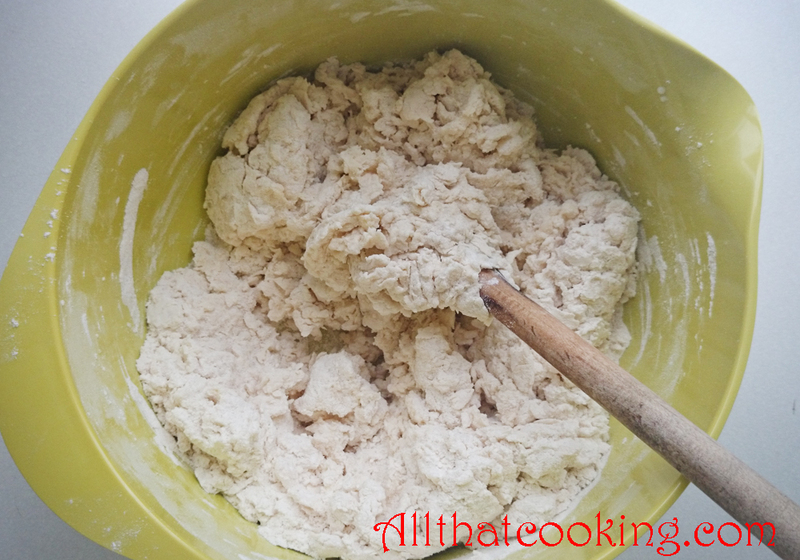 Knead the dough until it is just about firm and everything is combined. Add a little more flour or milk if necessary. 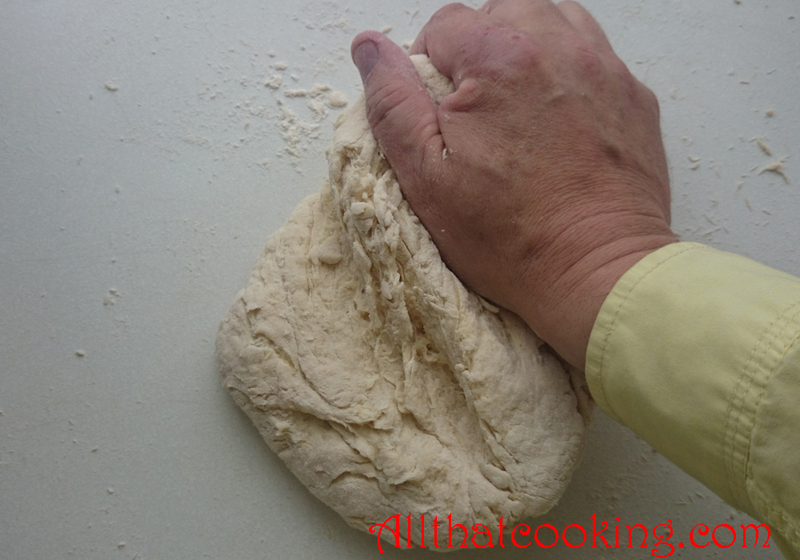 Knead as little as possible to avoid the dough becoming elastic. The dough should be a little sticky. Cover with plastic wrap and let it rest four at least an hour. 6. 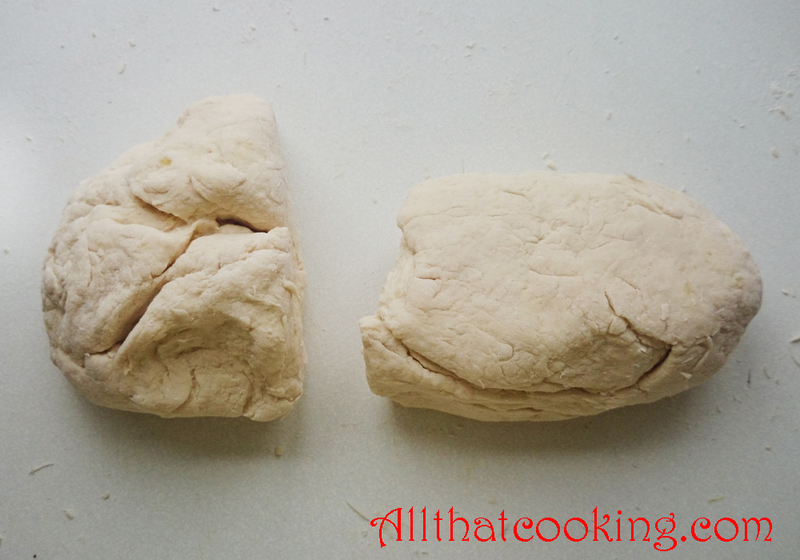 Divide the dough in half and shape each half to about 7 x 3-inches. 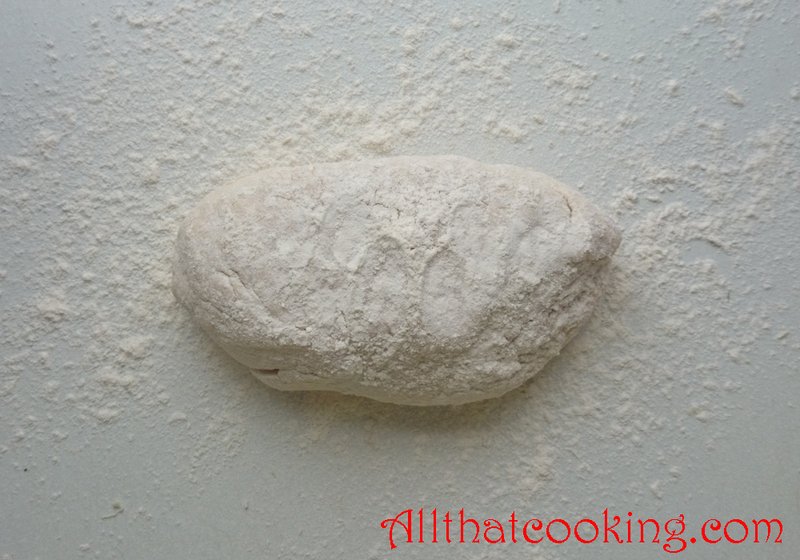 Place one ball of dough on a generously floured surface and top with more flour. Use a rolling pin to roll it out to about 24 x 10-inches. Cut 3 rounds using an 8-inch plate as your template. Save the scraps. Repeat with the other dough ball. You should have 6 nice rounds. Take the scraps, work them into a ball, roll it out and you should be able to cut at least one more round. 7. The traditional way to cook these is directly on the stove burner. In this case you heat the burner to medium high. Place a round on the burner and prick the top with a fork to avoid big bubbles forming. Cook for about a minute or two, until the bottom is brown. Flip and cook the other side until brown. Adjust the temperature so as not to burn the bread. In general it takes about 2 minutes to cook each round. Your time may be different. If you don’t cook these directly on the stove, use a non-stick pan and follow the directions above. 8. Cover your stack of breads with a clean kitchen towel and serve them when they have cooled to just room temperature. To serve: spread each with butter then top with your favorite topping. Cut each bread into quarters and when you take a bite send a smile to my grandma and aunt Ása. Gallery | This entry was posted in Breads, Icelandic Classic and tagged flatbreads, Icelandic flat breads, rye flatbreads. Bookmark the permalink. Wow That flat bread looks delicious. Our family is the same way with my grandmothers yeast rolls. They are light as a feather! You can’t beat family recipes that have been handed down. Always a treasure! Thanks for trying it. A lovely, versatile flatbread isn’t it. I would like to Share with you some Maltese traditional recipes. I hope you will enjoy these recipes. Share away chef! We love cooking food from around the world. You can drop us a line by using the contact us link at the top of the page. I am taking this gorgeous flatbread recipe with me. Ahh Angie, thanks so much ! I love that you have all these Icelandic recipes! 😍 Thank you so much for sharing! Very tasty. Thank you for sharing it. I tried myself today. It was a nostalgic meal and during it I lived again my last Icelandic trip. Thank you for your kind comment. The flatbread has been made in my fathers family for a very very long time and this is the recipe. Just remember to NOT kneed to much. Just kneed until its combined. I love easy recipes, especially when they turn out to be something my whole family loves!. This one also looks tasty and i hope me and my whole family will definitely love this. I’ll try this for sure . We certainly hope that you enjoy. Please let us know what the reviews are! It’s our pleasure to share these recipes. We are so glad that you not only enjoyed the bread, but also that you plan to make it again. Thank you for sharing your experience!